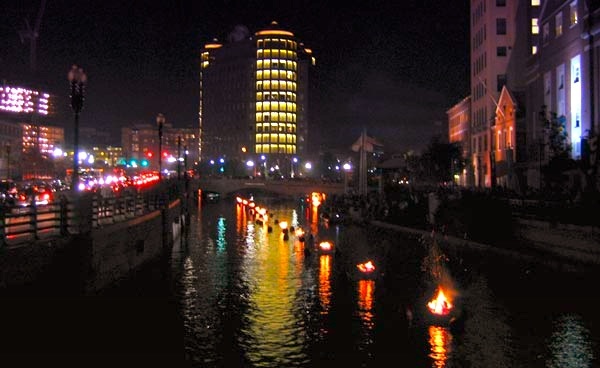 Enjoy the spirit of Christmas for two days at the 3rd Annual Very Special Christmas WaterFire Weekend benefiting and showcasing the incredible work of the Providence Rescue Mission and as a wonderful gift to the City of Providence! Thanks to an anonymous donor the 41 braziers running from Waterplace Park Basin to Steeple Street will burn brightly with Christmas spirit for two days this year! Festivities will commence in Waterplace Park at 5:00pm on Friday, December 13th and then again on Saturday, December 14th! The fires will be lit from 5:00pm-9:30pm both evenings. Watch updates on WaterFire’s Facebook Page and Twitter for updates on how this weekend’s storm may impact Saturday’s lighting.